According to a former employee of Lionhead Studios, being openly gay at a Microsoft-owned development studio can be just as bad as having an openly gay Xbox Live gamertag. 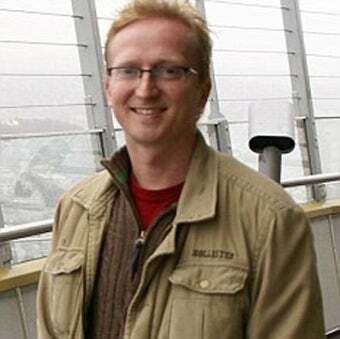 Gay video game designer Jamie Durrant is suing Microsoft for £45,000 in 'hurt feelings' and lost pay, claiming discrimination on the grounds of sexual orientation. Durrant claims that following Microsoft's buyout of Lionhead, where he has worked for the past 11 years, the atmosphere began to grow uneasy. Around January of last year, Jamie says he began receiving abusive emails with subjects that read "I'm Jim and I'm Gay" and "Me and my Favourite Men", and that he was given the nickname "Fag Boy Jim". "They're making out that I'm the one with the problem." As of right now, Jamie has been off work for depression for seven months, and now he is seeking damages. If his claims are legitimate, I'd say he's aiming far too low money-wise, especially considering he's dealing with a company once lauded by the Human Rights Campaign Foundation for their treatment of gay, lesbian, bisexual, and transgendered employees. Perhaps Lionhead simply didn't get the memo.